(ANTOLA, JESSICA). Antola, Jessica. Bologna, ITALY: Damiani Editore, 2018. First Edition. 4to. Cloth in Pictorial Dust Jacket. Photography Monograph. As New/As New. 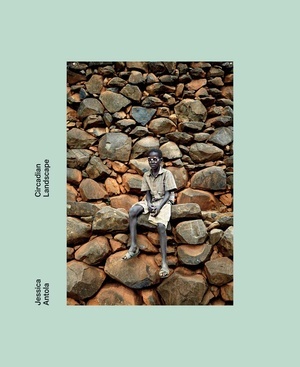 Jessica Antola’s first monograph entitled Circadian Landscape is a vibrant journey through Sub-Saharan Africa. 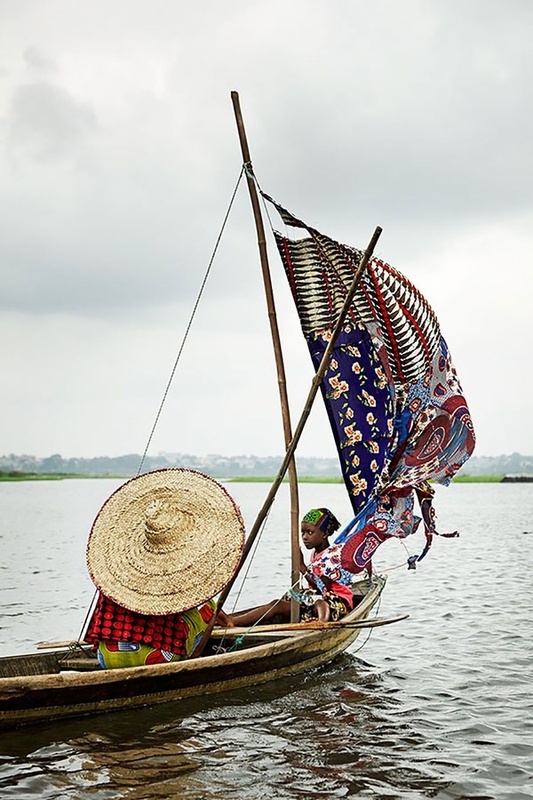 Traveling mostly by car, she captures the distinctive style and beauty of everyday life in Benin, Burkina Faso, Cote d'Ivoire, Ghana, Ethiopia, Senegal, and Togo. Her striking portraits, landscapes, and vignettes offer an intimate view of life lived in rural villages, big cities and along the remote roadways between the two. Men dressed head to toe in elaborate African wax textiles share a motorcycle; ancestral spirits bridge earthly and supernatural worlds in masked dances; the rich red soil dusts the lush tropical jungle; a girl in an over-sized straw hat steers her boat with a boldly patterned patchwork sail; and a gold jewelry-clad Kumasi King performs a warrior dance. Antola is captivated by how people around the world express themselves in relation to their environments, and her images reflect the astonishing variety of ways people create and define themselves daily through dress and ritual, work and play. PLEASE NOTE: Copies of "Circadian Landscapes" will be signed by Ms. Antola will be signing books at Arcana on Saturday April 21st and shipped beginning Tuesday, April 24th. If you would like to pre-order a signed copy and collect it at the event, please indicate this in the "notes" section of your order.